Small business owners are made in a variety of ways. How did you get started? Maybe you’ve been working on your business for years as a hobby or side project. Maybe you’ve been developing the perfect business plan and getting financing. Maybe you’re self-employed but looking to take the next big step. 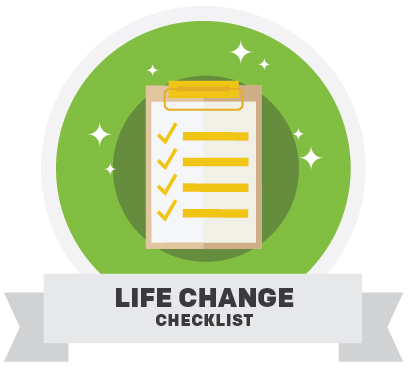 Here are four important tax items to check off the list when you take on this exciting life change. You may be a sole proprietor if the business is unincorporated and you operated it by yourself. You are most likely subject to self-employment tax. Partnerships have two or more people working together in a trade or business. Each person contributes money, property, labor or skill and expects to share in the profits and losses. A C Corporation is an entity that is formed under state, federal or foreign corporation laws. A C Corp has shareholders that elect directors. The directors manage the corporation. The officers and managers hired by those directors carry out the day-to-day work of the business. You must have a registered address and a registered agent. An S Corporation must be a domestic business with no more than 100 allowable shareholders. It has only one class of stock. A Limited Liability Corporation is a distinct legal entity that may be treated in a couple of different ways. A single member LLC is treated like a sole proprietorship for tax purposes. However, an LLC may choose to be treated as a partnership or as a corporation. In the case of the corporation, it would follow the same tax guidelines as a C Corp. Choosing your business structure largely depends on what kind of business you are operating, how many people are involved and your specific tax situation. The choices are a calendar tax year – which begins Jan. 1 and ends Dec. 21 – or a fiscal tax year. The fiscal tax year is 12 consecutive months. It must end on the last day of any month except December. There is also a 52 to 53-week tax year. This is a fiscal tax year that varies from 52 to 53 weeks but does not have to end on the last day of a month. If your business meets any of those three criteria, you should get an EIN. A sole proprietor needs to complete an individual tax return using Schedule C. Generally, it is due by April 15 each year. A partnership must file an annual information return using Form 1065. It’s typically due by April 15. However, profits and losses are passed on to the partners. Each partner must report their share on their individual tax return. C Corporations must pay taxes on any profits earned. C Corps will use Form 1120 and file by March 15. Shareholders pay taxes on any distributed dividends when they file their individual tax return. S Corporations will file Form 1120S to report any profits. It should be filed by March 15. However, income and losses are passed on to shareholders who will report it on their individual tax return. Note that you may need to make estimated quarterly payments if your estimated tax owed for the year is expected to be $500 or more. Get even more detail on tax forms for businesses. From deciding which type of company you want to form to meeting all your tax obligations, it can be a little daunting to strike out on your own. H&R Block offices are open year round to help advise you on any tax questions you may have. Make an appointment today!